More than two dozen books and assessments about careers and college majors. Experience designing, prototyping, and developing software applications. Ability to research and organize useful new databases, script easy-to-use interactions, and write effective study guides, manuals, and online help. Experience editing career development videos. Expertise in strategies for new product development. Outstanding creative and communication skills. Rate occupations and jobs on physical ability requirements. Contributed to O*NET-based self-assessment of abilities. Wrote Choose Your College Major in a Day (2015); Your Guide to High-Paying Careers (2014); Quick Guide to College Majors (2018). Wrote descriptions of 19 industries. Edited new editions of two interview guides. Discussed possible innovative postsecondary programs to respond to needs created by labor-market trends. Client: Educational Testing Service, Princeton, NJ (1999-2005) Collaborated on proposal for career information service for Qatar secondary schools. Edited study guides and developed test questions for teacher certification examinations. Supervised annual update of information about the 250+ occupations in SIGI PLUS (computer-based career guidance system), the most widely used system of its kind in colleges, with a subscriber renewal rate of over 90%. Consulted on product enhancements. Formatted HTML screens for Web version of the application. Created skills database for EnterpriseOhio project for workforce development. Updated Quick Job Interview Guide (2014) and Quick Job Search (2014). Best Jobs for the 21st Century, Second Edition (2001), O*NET Dictionary of Occupational Titles, 2001-2002 Edition (2002), 200 Best Jobs for College Graduates, Second Edition (2003), 300 Best Jobs Without a Four-Year Degree (2003). Wrote Quick Guide to College Majors and Careers: A Guide to Four-Year College Majors and Related Career Opportunities (2002), Quick Guide to Career Training in Two Years or Less (2003). Edited and did database work for reference books: Guide for Occupational Exploration, Third Edition (2001). Client: Valpar International, Inc., Tucson, AZ (2004-05) Supervised annual update of information about the 250+ occupations in SIGI PLUS (after Valpar acquired it from ETS). Client: King Fahd University of Petroleum and Minerals, Dhahran, Saudi Arabia (1997-2002) Developed Career Oasis system, in English and Arabic, online and workbook versions. Includes assessments and career information. Visited four times to lecture on career development, meet to discuss design and implementation of Career Oasis, and field test the system. Client: United Arab Emirates University, Al Ain, United Arab Emirates (2003) Adapted Career Oasis system for UAEU users and advised on implementation. Adapted Career Oasis system for CNA-Q users. Researched and wrote descriptions of 160 college majors. Client: SCT Corporation, Malvern, PA (1999) Developed product concept statement. Client: Vantage Technologies, Yardley, PA (1999) Did quality control of online Accuplacer test, including editing, HTML, bitmaps. Wrote books and developed database information for books; developed ideas for books and assessments; scripted online applications; edited video excerpts. 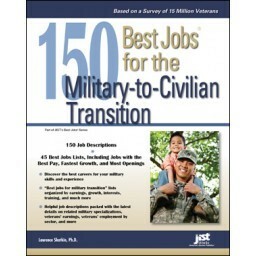 Recent books include the following: Occupational Outlook Handbook, 2016-17 edition; 150 Best Jobs for the Military-to-Civilian Transition (2013); Handbook of College Majors, 3rd edition (2012); Panicked Student's Guide to Choosing a College Major (2011); Quick Nontraditional Careers Guide (2011); 2011 Career Plan (2011); The Sequel: How to Change Your Career Without Starting Over (2011); 250 Best-Paying Jobs, 2nd edition (2010); 200 Best Jobs for Renewing America (2010); 50 Best Jobs for Your Personality (2009); 200 Best Jobs Through Apprenticeships, 2nd edition (2009); 150 Best Recession-Proof Jobs (2008); 200 Best Jobs for Introverts (2008); 150 Best Jobs for a Better World (2008); Salary Facts Handbook (2008); 150 Best Jobs Through Military Training (2008); 175 Best Jobs Not Behind a Desk (2007); and 90-Minute College Major Matcher (2006). Publisher's Weekly noted that I played a major role in boosting JIST's 2009 trade sales by 70%. Developed interactive products for guidance and assessment: planning database contents, scripting and prototyping interactions, writing manuals. Became expert in principles of managing new product development through serving on corporate re-engineering teams and as management facilitator. Modeled database and laid out 200 interactive screens for Windows version of SIGI PLUS. Supervised update of information about the 250+ occupations in SIGI PLUS. Improved efficiency of research assistants by 30%. Developed interactive guidance products for middle schools and high schools. Supervised update of career information database and designed other databases for interactive products. Co-authored and prototyped interactions (about 180 screens) for DOS version of SIGI PLUS, the first career guidance system targeted at adults. Advised Fukutake Publishing on developing Japan's first computer-linked career guidance resource. Scripted interactions and supervised development of database for BookWhiz, a product to help middle school students choose an interesting book. Recruited 30 librarians to write descriptions of books; edited write-ups and coded them as database entries for 1,000 books. Researched and wrote information about occupations and educational programs for SIGI PLUS. Created new information about college majors that expanded database from two to three megabytes. Researched and wrote information about occupations for SIGI PLUS. Wrote review of current scholarly research on career information in secondary schools. Here are some of my radio and TV appearances. Read my latest entry here.